Deconomy conference in Seoul gathered together economists, writers, professors, lecturers of American and European universities, founders, executives, research advisors, blockchain evangelists and even governors from different corners of the globe, to present and discuss latest trends in cryptography, peer-to-peer network, blockchain technologies, economics, law, finance and business. KYCBench team attended Deconomy 2 day blockchain conference and had an exceptional learning opportunity and shared experience with well-known speakers and blockchain stars as, Changpeng Zhao, known as CZ, CEO at Binance; Zooko Wilcox -O’hearn, creator of the Transitive Grace Period Public Licence (TGPPL) and CEO at Zcash; and Vitalik Buterin – founder at Ethereum! 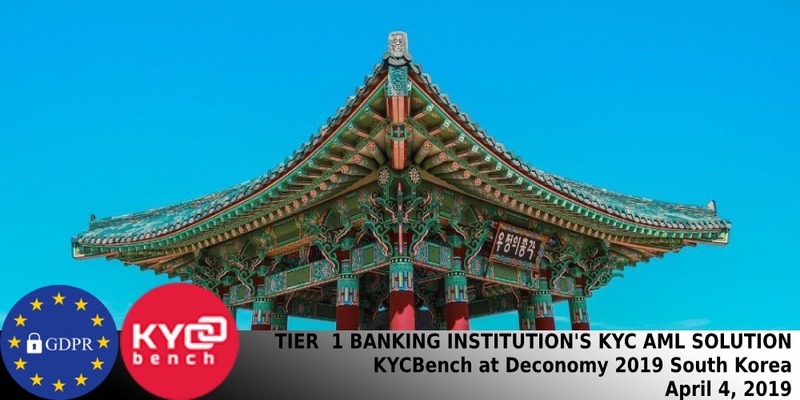 KYCBench outlined well-presented interactive exhibition, where innovative startups, industry’s leading solution providers, tech companies, such as HTC, displayed the latest blockchain technology and industry products and executive crypto-related roundtables and discussion with an excellent opportunity to connect with industry leaders, like-minded peers and entrepreneurs from different countries, while they discuss on topics relating to the blockchain industry.